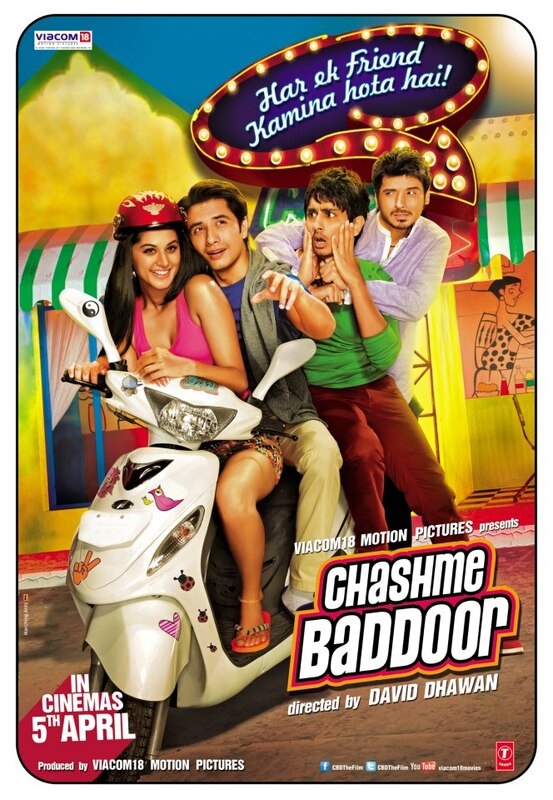 The OFFICIAL POSTER of Chashme Baddoor. Chashme Buddoor is a remake of the Chashme Buddoor (1981 film) of the same name. The film stars Ali Zafar, Siddharth, Taapsee Pannu, Divyendu Sharma and Rishi Kapoor in the lead roles. Juhi Chawla and Anupam Kher are also set to play surprise roles in the movie. The film is directed by David Dhawan. The film is set to be released on 5 April 2013. The official theatrical trailer to be unvieled within 10 February.